This week on Ready Radio Doug and Amy discuss the Ferguson riots and the implication of long term civil unrest. 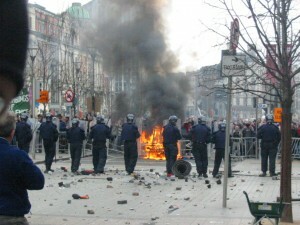 Learn about the psychology of a riot the nature of a criminal mind and group think as well as steps you can take to help harden your home and the greatest danger in a looting. A heartfelt and poignant discussion concerning the tragedy burning in Missouri. TruPrep Product of the week: Exotac fire starters.